Smulders is a sound and flexible business partner, offering more than 50 years’ experience in the engineering, construction, supply and assembly of steel constructions. 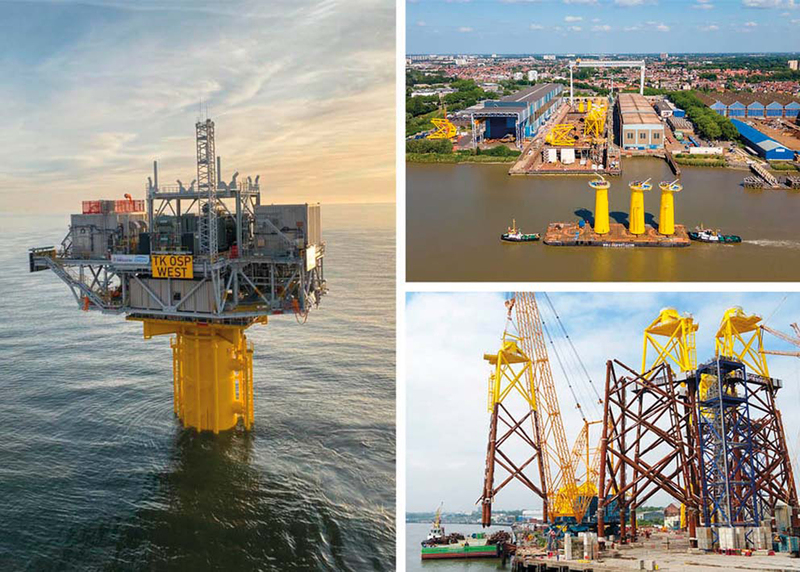 The activities of Smulders are subdivided into 3 markets: Civil & Industry, Offshore Oil & Gas and Offshore Wind. Since the eighties, Smulders has participated in many projects for the oil and gas industry. For the offshore oil & gas market Smulders offers a.o. platforms, jackets and subsea structures, either their individual manufacture or as full-scale EPCI projects. Smulders offers a full range of services from engineering and fabrication of steel foundations to complete turnkey solutions (EPCI) of Offshore High-Voltage Substations. With over 50 years of experience in its field, Smulders was the logical choice for offshore wind structures back in the pioneering days of wind energy more than 15 years ago. Today, Smulders is an established market leader and can boast delivery of over 1,500 transition pieces, 100 jackets and more than 20 substations and their accompanying foundations. Iemants assembly yard (Vlissingen, the Netherlands): production and assembly of foundations and substations.